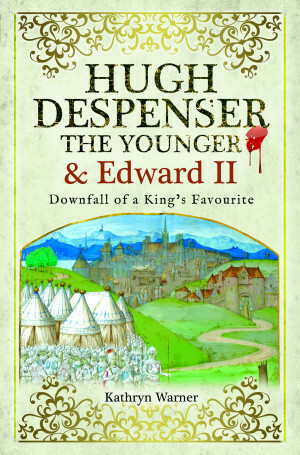 You'll be £11.99 closer to your next £10.00 credit when you purchase Hugh Despenser the Younger and Edward II. What's this? Hugh Despenser the Younger and Edward II tells the story of ‘the greatest villain of the fourteenth century’, his dazzling rise as favourite to the king and his disastrous fall. Born in the late 1280s, Hugh married King Edward I of England’s eldest granddaughter when he was a teenager. Ambitious and greedy to an astonishing degree, Hugh chose a startling route to power: he seduced his wife’s uncle, the young King Edward II, and became the richest and most powerful man in the country in the 1320s. For years he dominated the English government and foreign policy, and took whatever lands he felt like by both quasi-legal and illegal methods, with the king’s connivance. His actions were to bring both himself and Edward II down, and Hugh was directly responsible for the first forced abdication of a king in English history; he had made the horrible mistake of alienating and insulting Edward’s queen Isabella of France, who loathed him, and who had him slowly and grotesquely executed in her presence in November 1326.